So the theme of this blog will be changing in the next few weeks, at least till the end of the year. As most of you know, I have submitted the manuscript for Edward and Gladys' story to the publishers and the process has started. 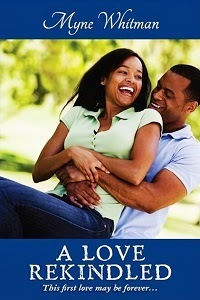 Now I have started research for the next book, it has to do with twins and of course romance in Nigeria. Some of you on twitter already know where it is set. LOL. It's gonna be partly in Benin-City. Anyway I digress. The blog is gonna change a little to give me time to get my flow on the new one and till "A mended heart" premieres. So while we wait for the washing, SO has agreed to take some of the load off. He is a blogger though he rested his spot some time ago. Some of you may recognize him. Yes leggy, that is the person responsible for all the mushy poems so blame him when he comes oo. As I was saying, we want to start an interactive story with the commenters. It will have a poll driven storyline and interested bloggers can contribute as well. Before the end of this week, I will have the details ready. For now I was tagged by Scomiss to talk about the hype in my city. This ties in with my idea to celebrate my over 100 followers. I realised my blog doesn't share a lot of myself, though I leave a few pieces here and there on other blog's comments. So to share more of me, I have made a video of the city I live in with one or two pictures of me thrown in. Look at the pictures, ask any questions you want in the comments section and I will answer as much as I can. My next blog post will be dedicated to answering those questions so look out for it too. ps...I will take down the video once I have 10 questions I want to answer.